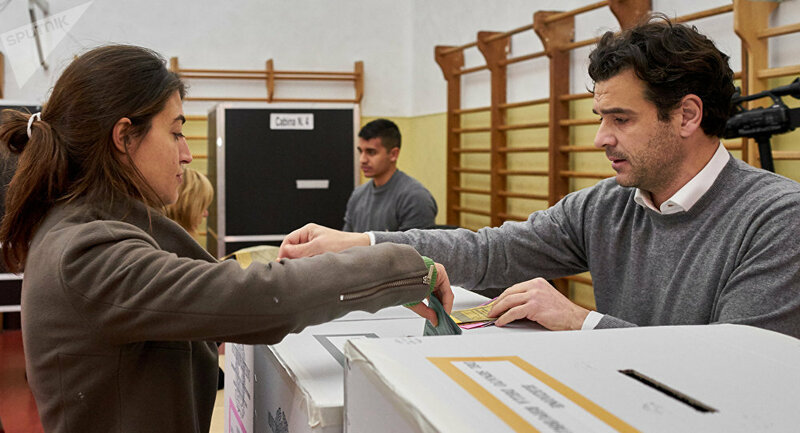 The recent parliamentary elections in Italy have sent a strong signal to Brussels, Alessandro Bertoldi, a representative of the center-right coalition, political consultant and analyst, has told Sputnik. The politician hopes that a new government will help solve Italy’s major domestic issues and improve relations with the US and Russia. A representative of the center-right coalition, political consultant and analyst, Alessandro Bertoldi from Silvio Berlusconi's Forza Italia (Go, Italy), shared his views on the results of the March 4 parliamentary elections in Italy in an interview with Sputnik. Sputnik: What do you think about the results of the vote? What is the mood in the country? Alessandro Bertoldi: On March 4 the people of Italy exercised their democratic rights and this is good when it happens. Over the past five years we have not voted but got four different governments which were not elected by the people and did not enlist their support. All political forces should listen to the people and accept their decisions, trying to understand what they wanted to say to the ruling class including in the form of protests. It is obvious that the results of the vote indicated that the parties of the system and traditional politics are in decline, as in the rest of Europe. There is a desire for change, while there is low trust in politics in general, but citizens want to alter this situation and bring new political forces for which the majority voted to the test — the Five Star Movement (Movimento 5 Stelle, M5S) and the Northern League. They [the Italians], especially those who are facing difficulties, want to find an alternative to the existing governments. [Italian] companies and the economy in general are undergoing a period of uncertainty, because they do not know what will happen, the election results have come as a shock to them and we do not know whether a government will be formed and who will lead it. I believe that we will get answers from politicians soon and I am sure that new political leaders will be capable to boost the markets and take care about the real economy. It will be no easy time for Italy, but it seems to me that there is awareness and a sense of responsibility on the part of all political forces; they have matured due to the elections and they will do what is necessary to find solutions and give answers to the Italians. Although Italy has undergone numerous changes, I have a lot of trust in my country; it has repeatedly got back on its feet and managed to restore unity even in the most difficult periods. Sputnik: The League and M5S called the election results their historic victory. Whose victory was it? Alessandro Bertoldi: Undoubtedly, it was the M5S and the League who won the election. Luigi Di Maio and Matteo Salvini are two young leaders who are well informed about the state of affairs in the south and the north of the country, respectively. 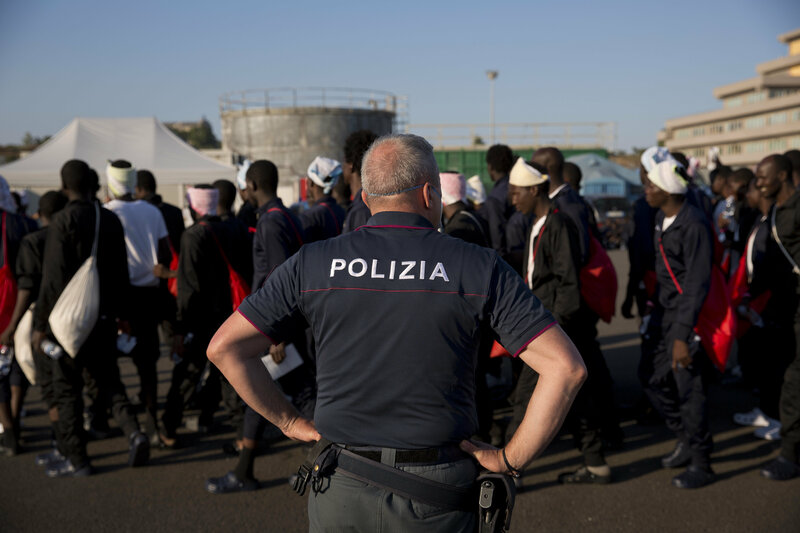 During the election campaign they offered a solution to the two major problems of our country: namely, high unemployment among the youth in the south and Italians' discontent with the excessive presence of migrants in the north and the general feeling of insecurity. The formal winner is the center-right coalition. Sputnik: What will happen next? How will the government be formed, given the fact that no one has an absolute majority of seats? What is the likelihood that Italians will have to vote again in the fall? Alessandro Bertoldi: We expect that a new government will be formed in the next week. The election of the presidents of the Senate and the Chamber of Deputies will show us what coalitions have formed and who will support the center-right and the M5S. The Italian president will meet with all political groups and decide who will form the government and who will receive the majority in both houses of parliament. It will not be easy, but it is possible, otherwise we will vote again. Sputnik: Do you think the Democratic Party (PD) will forge new alliances? Alessandro Bertoldi: The Democratic Party has already officially stated that it will not support any coalition, but there is a split within the party, and its head, Matteo Renzi, is leaving. After his resignation two scenarios are likely to take place: first, some PD parliamentarians can support the center-right government; second, others of them may support the M5S. Both options are probable, and it is possible that we will be forced to vote again this fall. Sputnik: Did the results of the vote show a division between the north and the south of the country? Alessandro Bertoldi: Yes, absolutely. The country has never been so politically divided between the north and the south over the last 100 years. This division is represented by the voting map: the regions suffering from strong economic crisis and high unemployment have voted for the M5S, while in the north, where security and immigration problems remain high on the agenda, the League has won. The M5S proposal to introduce an unconditional basic income for unemployed citizens has played a significant role and has certainly affected the choice of the most destitute Italians. Sputnik: How will the results of the vote affect the future relationship between Italy and Europe? Alessandro Bertoldi: The results of the elections send a clear message to Brussels. The Democratic Party, the most pro-European one, and partly Forza Italia have lost a lot. The Eurosceptics have obtained the absolute majority in the Parliament. If we combine the results of the League and the M5S, as well as Brothers of Italy, we would get almost 60 percent of the total vote. The Italians are tired of the EU; they undoubtedly want to change it and not to allow it to impose its will on them anymore. The European apparatus should listen to the peoples of Europe, ask them what changes are needed to prevent the dissolution of the bloc and do it as soon as possible. Having said that, I do not believe that any government will upset the relationship with the EU, since the Old Continent has to stay united in the face of global challenges. However, inner reforms are necessary and they could lead to certain difficulties. European nations are sending clear signals that they want change and do not trust their governments. Elections should always serve as a lesson for those in power. In no case should anyone criticize election results, but accept them and understand them fully. As for the relationship with the United States and Donald Trump, I believe that both center-right and the M5S government will be able to improve relations with [Washington], and this also applies, if not to a greater extent, to the relationship with Russia. Italy is the only country in Europe where there are no anti-Russian parties, and where the pro-Russian parties have won (the League, the M5S, Brothers of Italy, Forza Italia!) by a large majority. If we combine their results, we would get about 70 percent of the votes. All these parties are against sanctions, and are seeking more strategic and synergetic relations with Russia and President Vladimir Putin. Leaders and representatives of these parties, including me, have repeatedly visited Crimea, Donbass and Moscow. I think our foreign policy will dramatically improve, whoever will lead the government. The views and opinions expressed by Alessandro Bertoldi are those of the speaker and do not necessarily reflect those of Sputnik. Whose Company Does Post-Election Italy Join?